Bad Brother takes a realistic, but comic look at how the behaviors of men and women have evolved very little since the caveman times. 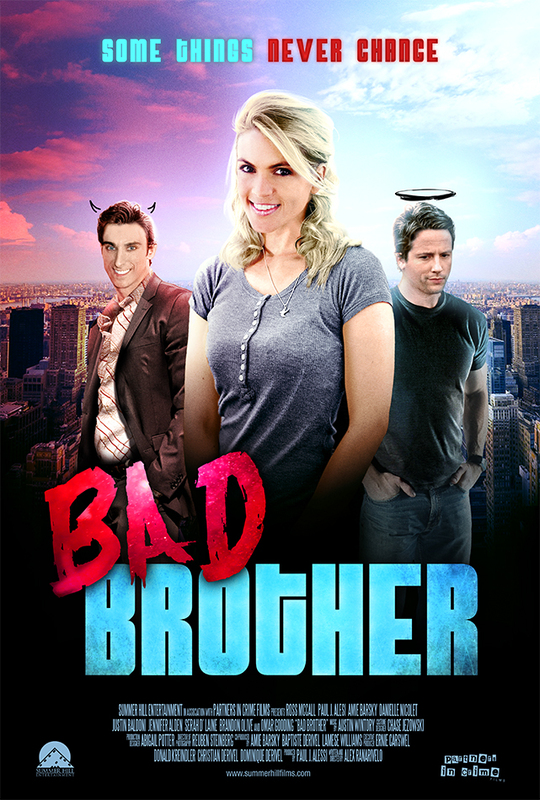 When Ethan, the needy nice guy, is dumped by his fiancee, he asks his misogynist older brother Kyle to help him win her back. Kyle tries to teach Ethan how to act like “a real man” and to never put a woman on a pedestal. Repulsed by his brother’s harsh views on how to treat women, Ethan ignores his advice and ventures out into the dating world, where he slowly realizes that everything Kyle says seems to be true… Or is it?